in less than an hour, we’ll be travelling to my parents home 430 km north of where we are right now to celebrate eid tomorrow. 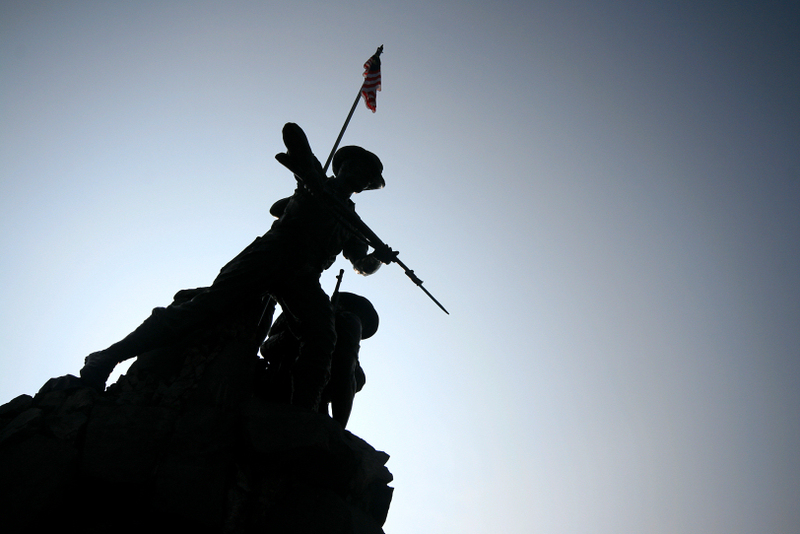 another national monument photo, this time with my 3 significant others, of which i believe is the time to nurture their knowledge and understanding of the sacrifices made by our forefathers to prepare the country for future generations. 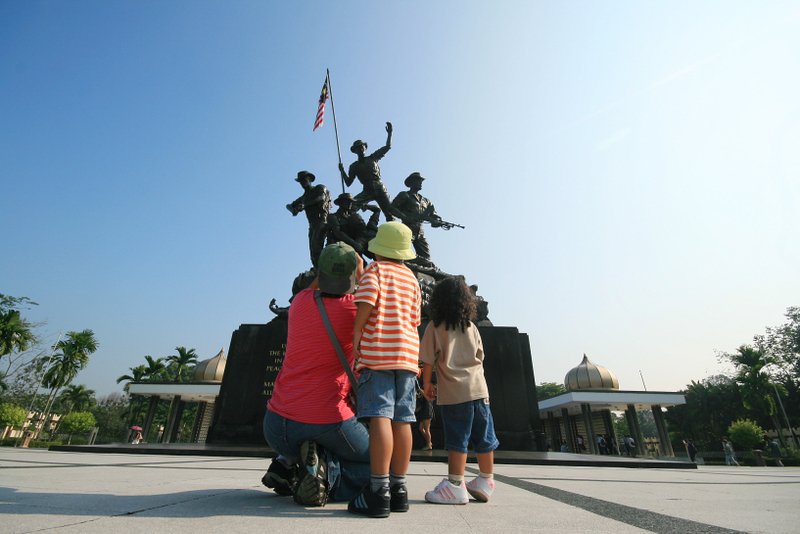 august 2011.
the world’s tallest bronze sculpture of malaysia national monument, designed by the same person who was also responsible for the famous iwo jima memorial, stands proudly near the houses of parliament, kuala lumpur. 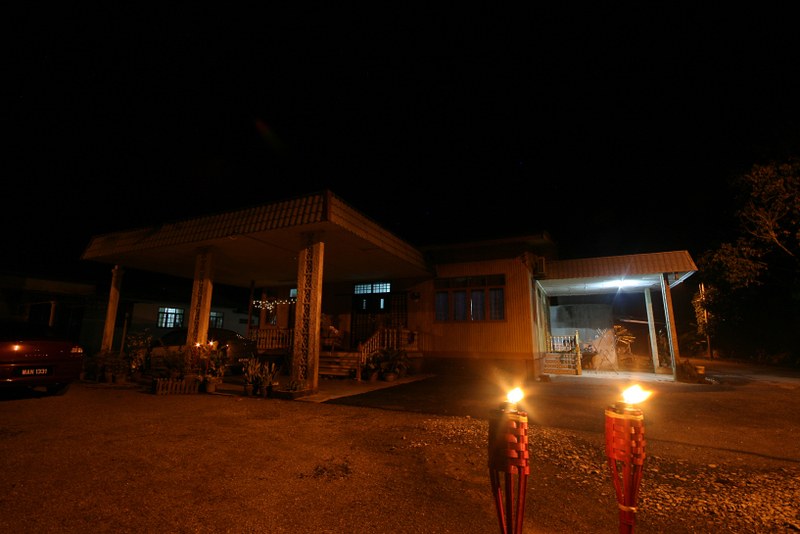 pic was taken in commemoration of malaysia’s 54th independence day in three days time, august 31st. 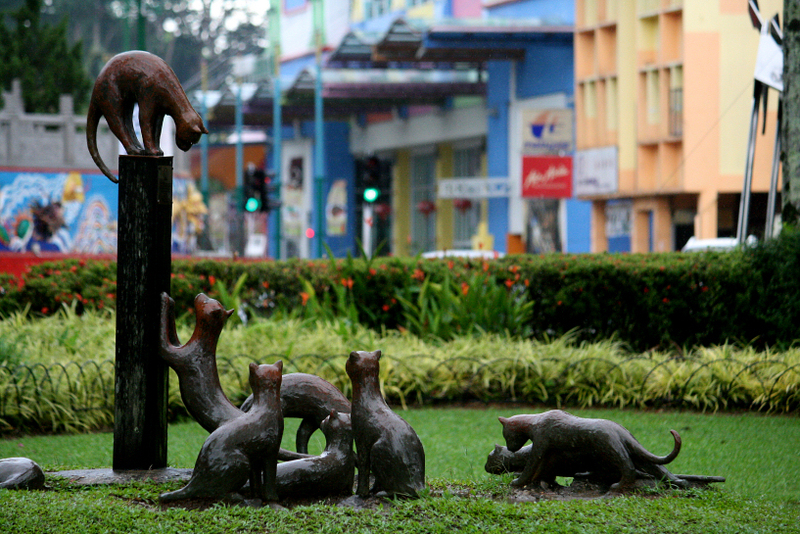 facing east, august 2011.
while strolling on the streets of kuching, itself derived from the malay word kucing, meaning cat, our sensory views were heavily bombarded with images of cat sculptures everywhere throughout the city. one such example is this image, showcasing what they know best – socializing and procreating. 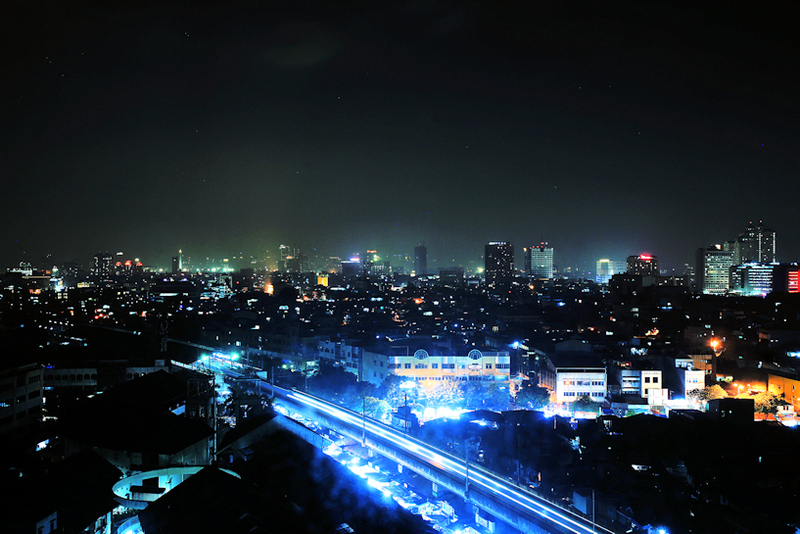 taken near the kuching waterfront in february 2011.
a night view of jakarta, the most populous city in southeast asia is not as spectacular as other cities in terms of its city lights, but experiencing within the congestion of its denizens along the narrow alleys and lanes (especially at night) is a sight and observation to behold. 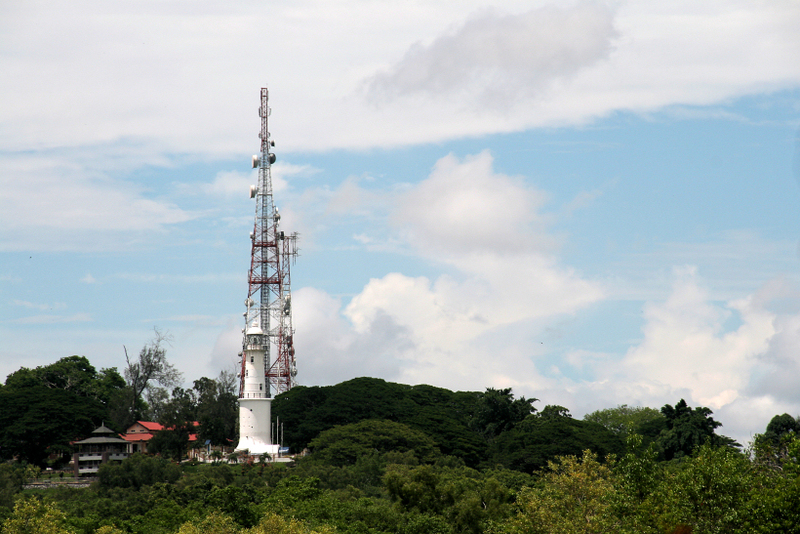 pic was taken from mangga dua facing south. january 2011.
a jimmy durante lookalike performed a rendition of his past hits during our visit to the bako national park. 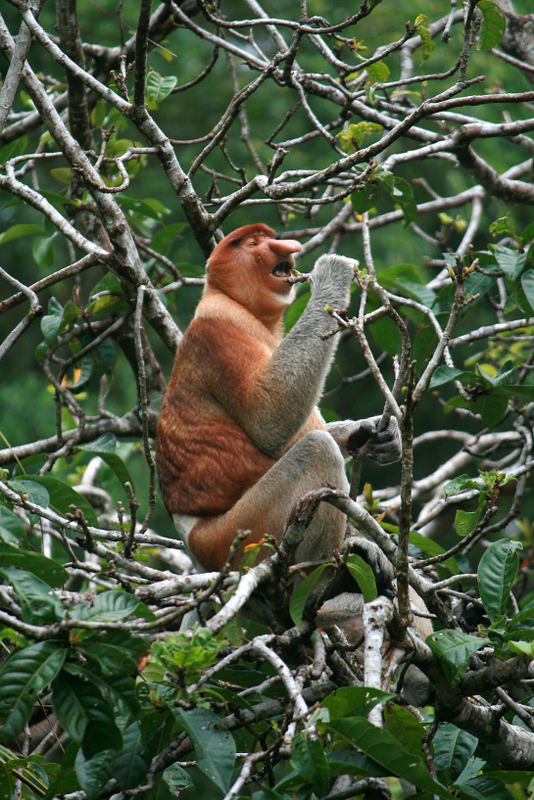 the leader of the proboscis monkey pack continued to croon his way into our hearts and minds and luckily didn’t left by relieving himself on the tree, unlike his much younger members of the entourage. january 2011.